The next time you catch yourself saying or thinking the words, “I USED TO…” I want you to STOP 🚨! Because what follows after those three seemingly harmless words usually isn’t very motivating or up lifting. In fact, what follows usually keeps us feeling small and like we aren’t enough. At least, that’s what usually happens to me. I USED TO…has us stuck in the past, just as I WANT TO…has us thinking more about the future. Both are normal and neither is wrong. It’s human nature to think this way. 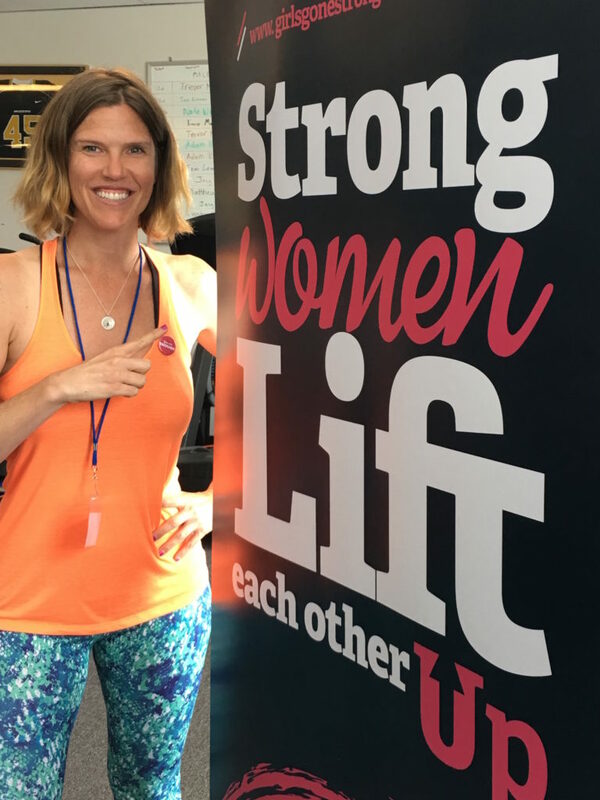 I had the opportunity to attend my first Fitness Summit for Women last August in Kansas City put on by Girls Gone Strong. Throughout the summit, the concept of acceptance was brought up a lot. Just completely accepting who you are as a person and how you look RIGHT NOW in this moment, and that being ENOUGH. I think we can waste a lot of energy constantly thinking about how we USED TO look, move, and feel, or wishing we could control the future and how we’ll look, move, and feel, once we get the perfect plan in place. This type of thinking doesn’t help us to take any action on getting there, but spinning our wheels instead. Being a recovering perfectionist, and realizing I can’t control every outcome and result is a hard reality to accept sometimes, so constant reminders of acceptance are great for me, and I want to pass this on to you, if you might be struggling with it. Because let’s face it, our life circumstances are changing every day, and what we USED to do or be, just might not work out the same based on what’s going on right now in our daily lives. I want you to know that no matter where you are right now in your life…YOU ARE ENOUGH! The first step is always ACCEPTANCE! There’s no need to feel down on yourself because you can’t do something you USED to be able to do, because maybe when you USED to be able to do that, you had different circumstances and responsibilities.